Unless you are fortunate enough to live in or close to the countryside, the participation in countryside sports such as Angling has many barriers, especially for our young folk, access, qualified supervision and of course cost. Forbes of Kingennie Resort Fishery situated in Broughty Ferry Dundee in conjunction with The Scottish Anglers National Association (SANA) the governing body for game angling in Scotland held an open day at the fishery inviting any person interested to come along and have a go, free of charge. The open day was held on Sunday the 7th of April, unfortunately, the weather was not kind, however not be deterred, 30 plus youths and adults had a go at various styles of fishing in what can only be described as extreme weather conditions, below zero temperatures and gale force winds couldn’t suppress their enthusiasm. In attendance were several UKCC qualified coaches, most of them experienced internationalists, giving support and advice to all the participants. Also, Kenny Gault, a biologist from the Tweed foundation was gathering insects from the ponds, (the fish's natural food source) Kenny identified the various species and then invited participants to examine them via a microscope onto a computer screen. Willie McCutcheon also a UKCC coach and celebrated fly dresser demonstrated the techniques and materials used to tie fly’s that imitated the captured insects. Another plus was that all the necessary equipment for all age groups was available to use free of charge. The coaches work on a one to two ratio, so numbers are restricted to the number of coaches available. To offer more opportunities, we are looking to recruit volunteers. Full training will be given free of charge by Country Side Learning Scotland to include a full PVG check. The training will take approximately half a day and can be delivered at the fishery during a coaching evening or day. If this is something that would interest you, please contact Kathleen at the above email address. Following the retirement of the the SANA administrator, all enquiries should be sent to the SANA mailbox admin@sana.org.uk where they will be answered on a daily basis. Urgent enquiries should be directed to Donald Forbes (SANA Vice-President) on 07919 414382. Coaching enquires only should go to Gus Brindle (The Chairman of the Scottish Federation of Coarse Anglers) on 07812 241816. The SANA AGM will be held on Sunday the 24th February 2019, at 10.30 am in the Green Hotel, The Muirs, Kinross KY13 8AS. All Members and Member Clubs are invited to attend or be represented at this important meeting. The following reports will be presented at the AGM and are available below. AGM invitations will be sent out this week. This weekend is their Open Weekend - See SANA and Angling Scotland there. 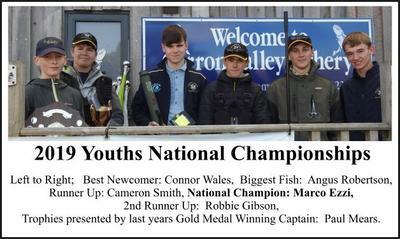 Round 2 of the Youth National Championship took place on Carron Valley Reservoir on Sunday 9th September. Fishing was difficult in a big wind and dropping temperatures, but the competitors slogged it out with enthusiasm. The National Team was selected on place points over both rounds (Lake of Mentieth and Carron Valley). At the end, we had the result and a new National Team for 2019. Youth Team fundraiser at Raith Lake, Kirkcaldy on Sunday October 14th 2018. To book a boat or a place phone the Fishery on 01592646466 to help our young Champions for next year. Boat competition with great prizes, awesome raffle prizes, Meet some of the young guns, present and past, and their coaches. Help support the most successful under 18 squad in years..... see you there. 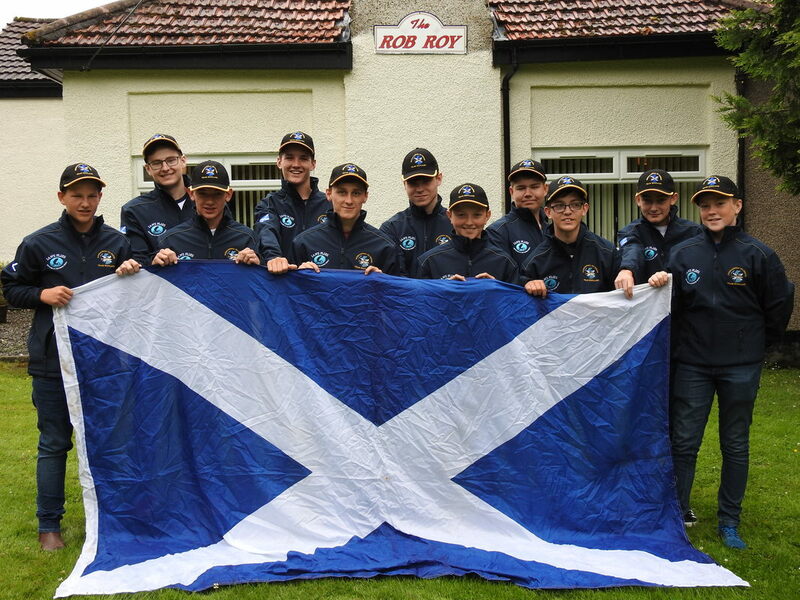 Scotland's Youth International Fly Fishing team took on the might of the other three Home Countries at Draycote Water in Warwickshire on the 1st August this year. The two days official practice proved that this was going to be a grueling match on a water which was rock hard and difficult to crack. Bright sun and high water temperatures together with fish which had seen just about everything thrown at them in the previous month meant difficult fishing, but the Scots lads and their coaches worked hard to sus things out. Dries and small flies sub surface proved to be the answer on what was to be a grueling match, but the lads perseverance and patience gave them an edge on the practice days with consistent but low scores on both days. Match day dawned with near perfect conditions and hopes were high. Initially conditions dictated a similar approach to the practice days, but as the match progressed the brightness re-appeared and things went rock hard. The Scots boys had been well schooled though, and quickly changed down a couple or three feet to continue to winkle out the odd fish. At the weigh in, we knew it was going to be close between England and Scotland. And as the results were read out the whole place went quiet, 4th - Ireland, 3rd - Wales, 2nd - ............ England ! and the Scots went Ballistic in celebration (apologies England), it was several minutes before the actual scores were able to be read out. They had done it again.... taking gold from England on their home water for the second time in a row..... some achievement ! This means that Scotland have taken 4 gold medals from the last 5 International Youth Competitions and puts us in a position to potentially achieve what has only ever been done once before..... 3 in a row. We have home advantage next year on the Lake of Mentieth, so hopes are high. 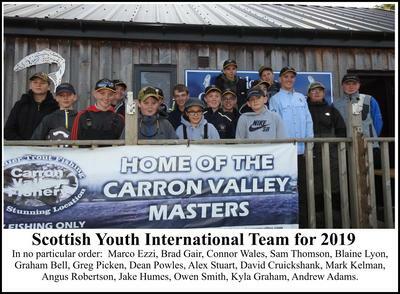 These young men are the future of competition angling and the keystones of Scotland's future International teams on the world stage. They have proved their worth on the field of battle and would give any senior Internationalist a run for their money and they need your support. 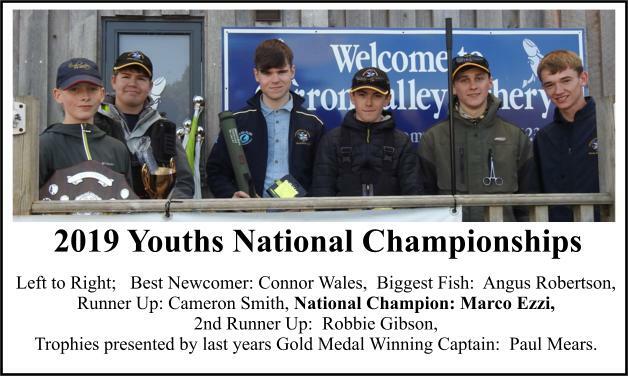 Their coaches give freely of their time for no reward (not even expenses) and the expense of travelling, fishing and accommodation is horrendous for these young anglers. When you see a fundraiser being run for these lads to help with their expenses..... how about coming along and giving a little support? Roll On the Scottish Machine ! ! ! The Scottish Youth International Fly Fishing Team attended the Scottish Fly Fair, Stirling Court Hotel, Stirling on Saturday 10th and Sunday 11th March 2018. We would like to thank Mr Davy Newell, organiser for his support and to You Fish Scotland for their extremely generous donation of two days fishing and overnight stay in their private fishing lodge for our Raffle. It was a very inspirational two days for both the Youth Team and young anglers who are starting fishing and in time aspire to fish for Scotland. 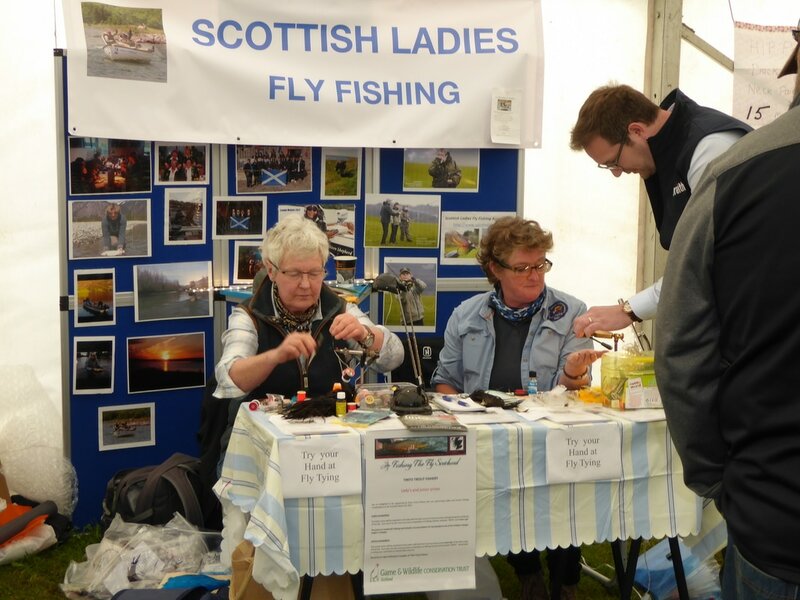 We had some of the team tying Flies and doing demonstrations over the weekend. Due to the adverse weather conditions Glasgow Angling Centre have decided to Postpone their full Open Weekend Event this weekend in the interests of safety for attendees travelling to Glasgow. The store will be open as normal from and the Open Weekend Deals will be up and running. ​It is with great sadness we report that Gus Shepherd passed away on 22nd February 2018 following a lengthy illness. Gus managed the Scottish Loch Style Teams on six occasions during 2015 to 2017. In those six matches he led Scotland to three gold medals, a second, a third and a fourth. As an individual he fished for Scotland on four occasions. At his first international at Brenig in 2006 Scotland took the gold medal and Gus won the Phoenix Silver Salver as Scotland's top rod. In 2007 he was in the teams at Rutland and Menteith when Scotland were second and third and in 2012 he was in the Scottish team that took gold at Brenig. Both draft submissions will be discussed at the next SANA Migratory Fish Committee meeting on the 11th March. Comments would be appreciated before then. 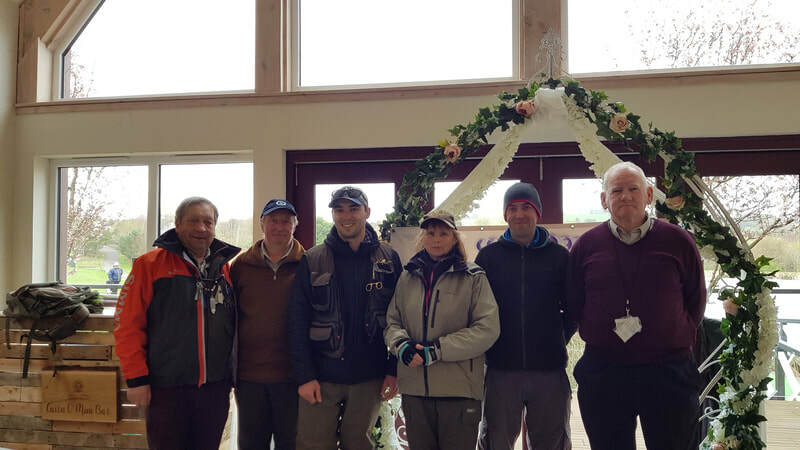 The top seven anglers in the final will make up the Scotland team, including the reserve, to fish in Ireland 2019. Entry fee is £20, plus £20 for the fishing fees, which includes lunch. Entrants need only pay one entry fee at their first heat but can fish other heats if unsuccessful. Approximately a third of entrants will go through from each heat and 50% from each semi final. There will be 24 in the final. If an angler is successful in qualifying at a heat, they must let other fisheries know so that their space can be given to someone yet to qualify on their waiting list. Rules are on the SANA website and any questions can be asked via the 'Scottish Stillwater Bank Championship' Facebook page. Please contact the fishery direct to book your place. Thursday 8th February at 12.00 in Uddingston Old Parish Church – Post code G71 7HF, with the interment thereafter at Bothwellhaugh Cemetery. Followed by a funeral tea in the Redstone Hotel Uddingston. It is with great sadness that we report the passing of Willie Miller. Willie was well known and respected on Clydeside where he was a longstanding member and official of UCAPA. He was a stalwart of SANA's non-migratory Fish Commitee, and chaired the Ministers Consultative Committee on Protection Orders on behalf of the Scottish Government. Willie was a trout and grayling fisher, a long term member of the Grayling Society, and a gentleman. He will be sadly missed by all. The Forestry Commission are running a campaign (both public facing and internal) to raise awareness about ticks and Lyme disease. The following public video focuses on encouraging people to ‘check for ticks’ as the most effective method of reducing the likelihood of contracting Lyme disease: https://youtu.be/Quoh5YFVsX0. The SANA AGM will be held on Sunday the 25th February 2018, at 10.30 am in the Green Hotel, The Muirs, Kinross KY13 8AS. All Members and Member Clubs are invited to attend or be represented at this important meeting. The following reports will be presented at the AGM and are available below. AGM invitations will be sent out this week. h​The Youths National Championships and National Team selection took place over 2 legs, firstly at Lake of Mentieth on Saturday 19th August and was scheduled for a 2nd leg on Carron Valley on September 10th. Day one went according to schedule, but the weather decided to intervene on day two. In the event, the fishery had to make a decision based on health and safety and the boats were called off. Carron does not lend itself to easy supervision in a bank match, so Jimmy Feeney kindly offered us the use of the Faughlin Reservoir for the day. After a very short discussion and explanation, we re-located the event to the Faughlin and after a relatively short delay, the competition got under way. 2018 National Stillwater results are here. The Second Stillwater final of the year was held on 5th November 2017. 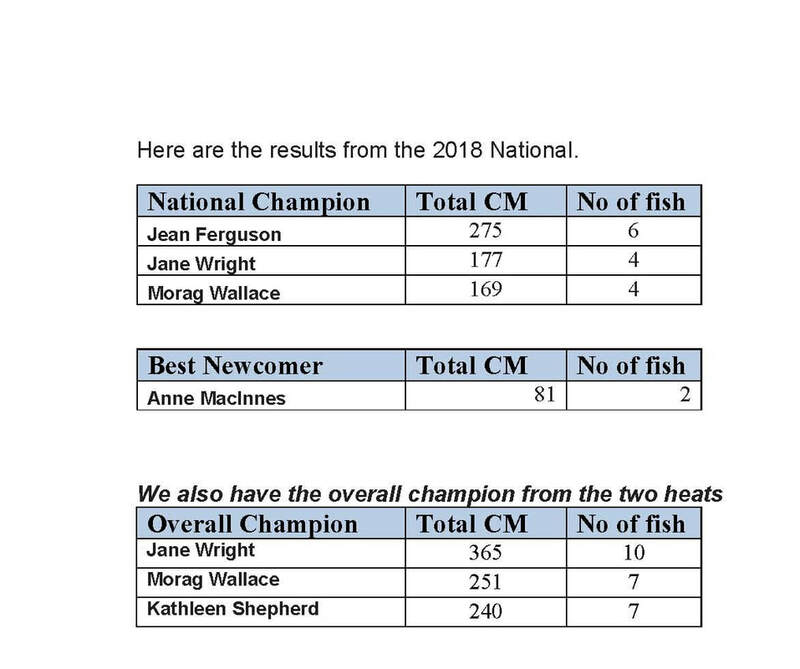 The full results are above.This was the final to select the 2018 Team Scotland for the following year's International. 24 anglers took to the water with top 6 and 1 reserve being invited to attend in October 2018. Congratulations to Tyler Hay National Champion and to Neil Wylie, Brian Carnegie, Gregor Hannen, Kevin Neri, John Donaldson and Kevin Andrews who have all been invited to next year's event. Many thanks to Iona and Margo at the Tarn, to Ian, Jim and Robert who helped ,marshall the event on a cold day. Attached here is the list for the 24 finalists to compete for the 2018 Stillwater Team for Scotland. As advised at each semi final anglers are requested to advise organisers at earliest opportunity if they are unable to attend. Good luck to all who qualified. 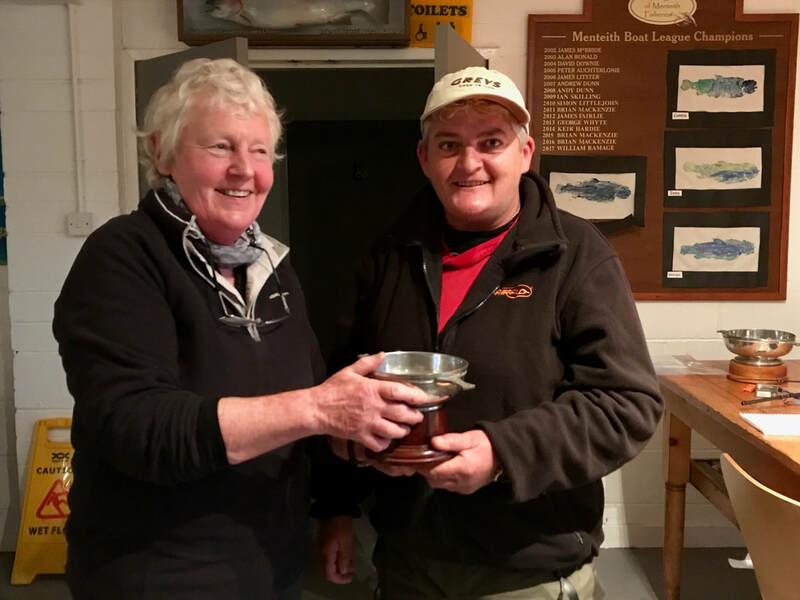 The second semi final was held on Sunday 24th September at New Haylie Fishery. 17 anglers took part with rod average 6.5 fish, 108 in total caught. Kevin Andrews confimred he is having a great year by leading the qualifiers with 13 fish and 24 points. Officials would like to thank George and Senga Murray at New Haylie for letting us use their fishery, their hospitality and their support. The full results are here. 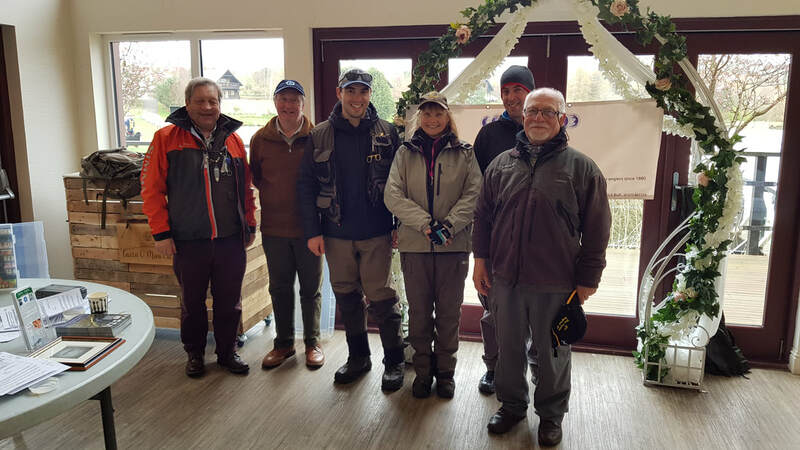 The first semi final for the 2018 team Scotland took place today at Raemoir Fishery, Aberdeenshire. 163 fish for 22 anglers caught and released. Top 12 qualified for final at 5th November at Allandale Tarn. The full results are available here. The second semi final is next Sunday 24th at the New Haylie Fishing Loch Largs. New Haylie Semi finalists are listed on the same sheet, access to Excel required. Please can all anglers for New Haylie please confirm attendance directly with fishery via phone 01475 676005 or via their facebook page. SECRETARY WANTED FOR ASSOCIATION OF SCOTTISH STILLWATER FISHERIES. The applicant must have an interest in promoting Scottish Stillwater Fisheries and some knowledge of the sector would be useful. The secretary’s main responsibilities are to take minutes at meetings (usually video conferences) of the council and to maintain contact with the association members and updating of the website and Facebook page – as required. Remuneration of £500 plus expenses is offered. Contact manager@menteith-fisheries.co.uk or 07710 433464 for further information. Details of the vacancy can be found here. For any further information about the role please contact Fiona McNeilly on 07711 311990 or fhm@focusonsport.eu. 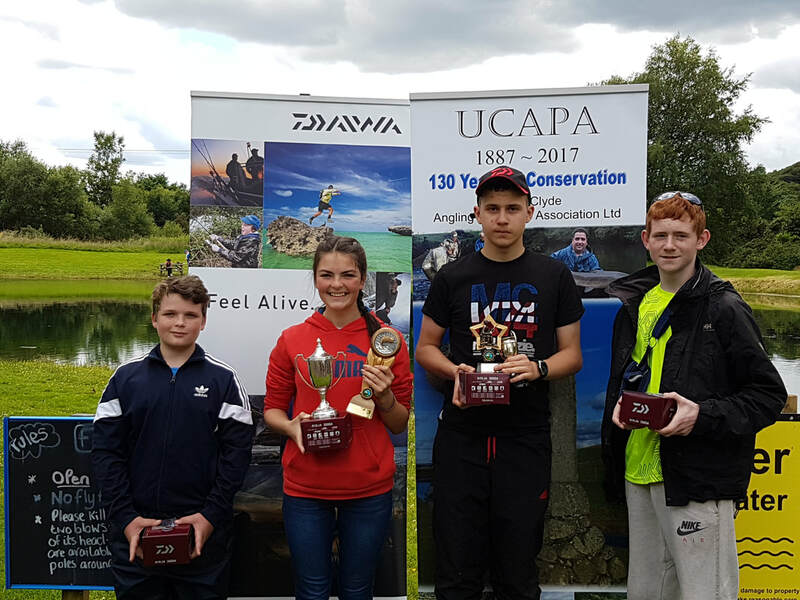 On Tuesday 11th July UCAPA held a youth angling competition at the Green Frog Fishery, Moffat, where 23 participants from various schools in North Lanarkshire and East Renfrewshire competed in several fishing events throughout the day. We would like to thank all competitors, committee members that were able to attend on the day, and the helpers from East Renfrewshire. A special thanks to the Totally Awesome Community Fishing Club from East Renfrewshire for their assistance. We were ably looked after and provided for by the catering staff of Green Frog Fishery Moffat. Parks Bus Group delivered us safely to and from our destination, so thank you to the Coach Driver for being so accommodating and friendly. Sana Coaches on the day helped throughout the day, and we thank them for their help and assistance. Finally, we have to thank Dawia for supplying the four prizes of spinning reels. We all look forward with great anticipation to next year’s event. Fisheries Management Scotland have produced a general advice note on the recent captures of Pacific pink salmon in Scottish waters. The SANA Ladies raising the profile for Scottish Ladies Fly Fishing. They had three very successful days with a number of potential new members. Well done to all the Ladies that gave up their time to support this initiative. Both schools had a joint fishing trip, 27th June 2017, to the Greenfrog Fishery at Moffat. All participants had an enjoyable day – having fun into the bargain! This fishing trip with SANA coaches, in partnership with UCAPA, supports the aims and goals of our wider aims of getting more young people into fishing and angling. Demonstrating the benefits of healthy team working, building constructive relationships, building confidence and learning about the environment. Jim Mathew would like to thank the headteachers of both schools for their support in allowing the clubs to be part of the school environments. If any schools (Primary or Secondary) would like information on how to organise such a club please don’t hesitate to get in touch with myself. (black cylinder). 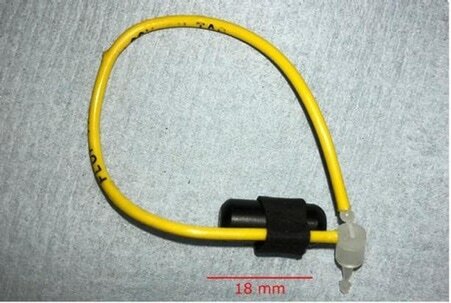 Please note that the colour of the cord may vary from yellow. fish to the water to obtain any such information. 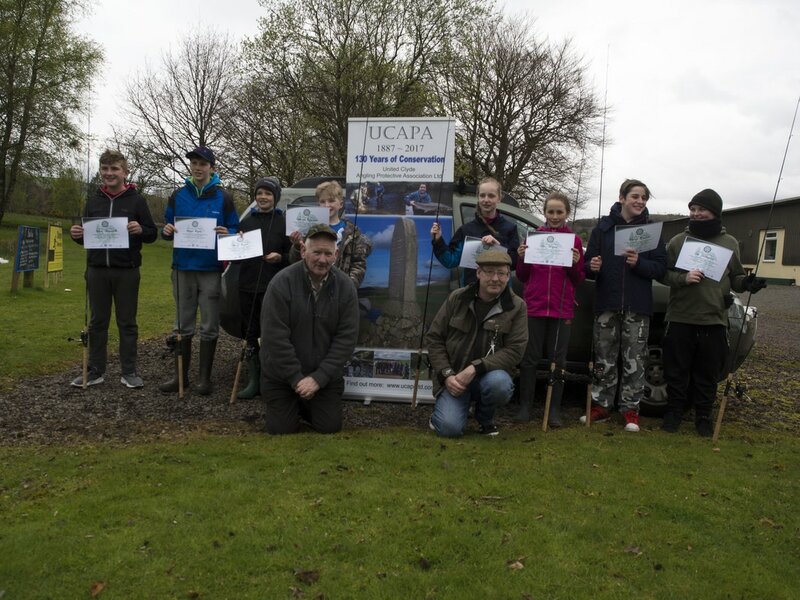 Angling Active and Stirling Council Fisheries presentation the SANA International Youth Fly Fishing Team on 28th May. Since October 2014, by law, every poly bag Angling Active customers have required, has been purchased for 5p. The funds raised were today donated to the Scottish International Youth Fly Fishing Team (@SANA) at Angling Active. Angling Active matched every one of those bag sales with a £ for £ contribution, doubling the value of the cheque in recognition of all youth angling. 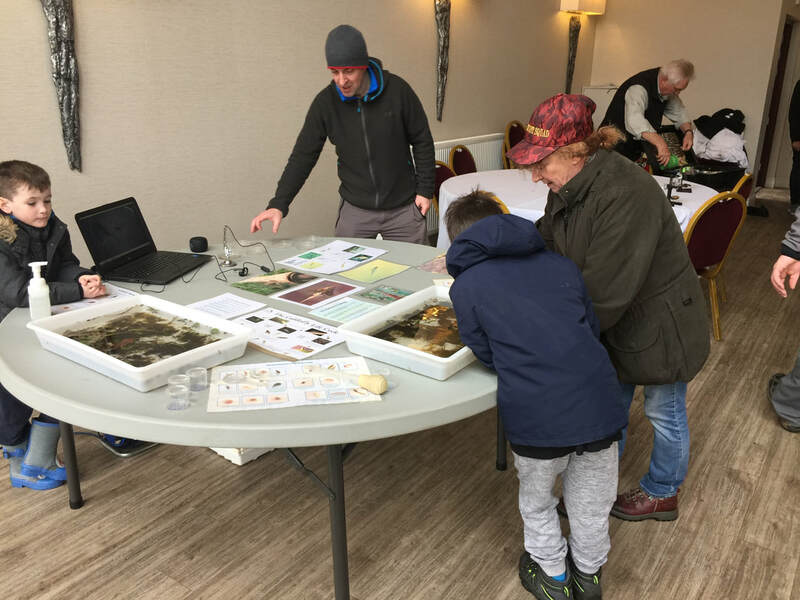 In addition, Angling Active invited the Stirling Council Fisheries team to attend as an opportunity to present their takings from the very successful raffle held on the opening day of the River Teith this season. Present were invited guests Stewart Carruth - CEO Stirling Council; his son Jamie - Captain of the team; Ryan Binnie - Stirling Council Fisheries representative; Arthur Wilkie and Alasdair Fyfe organisers of the Youth Team; Martin Grantham - Founding director of Angling Active, 'ex-chairman of' and ongoing Scottish Youth Team supporter; and the all important members of the Scottish International Youth Fly Fishing Team. Thanks to everyone for turning up this morning and showing your incredible support in this collaborative fundraiser. Tight lines to the very talented team! The school fishing club along with SANA Caches Jim Mathew and Willie McCutcheon had a great day at the Green Frog Fishery at Moffat. 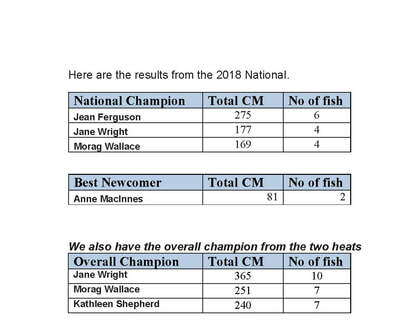 Scottish Stillwater Final results from Kingennie are here. The 2017 Bank Final at Kingennie started in steady rain however many anglers were quickly into fish. Anglers were keeping the marshalls busy marking scorecards. 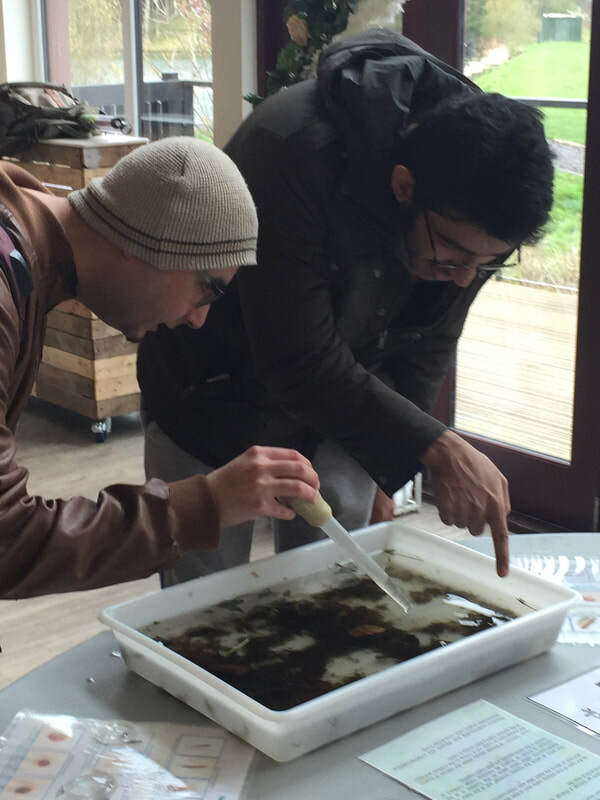 Best methods were indicator, or small natural patterns or pulling worm patterns. Anglers are allowed 3 rod prepared so during the 30 minute peg session they chose their preferred method. Boathouse Loch was providing the better sport however fish were being taken regularly around Burnside as well. When the rain stopped top of the water sport was found on Boathouse whilst indicator was going to prove to be most effective all round. Some decent fish were being caught and taking longer to bring to net. Points are awarded per fish no matter size so large fish were testing the skills of the anglers. 12.30 was lunch and some key individuals were already in good position to enhance their place in the afternoon. 1.15 restart and another 6 moves seemed to pass very quickly. Boathouse then had a quiet spell and anglers had to adjust plans to take that important fish per peg. 4.30 finish and cards collected. Congratulations to all who made the team, 4 new CAPS for 2017. Congratulations as well to Kevin Andrews, first individual to have his name twice on the National trophy. 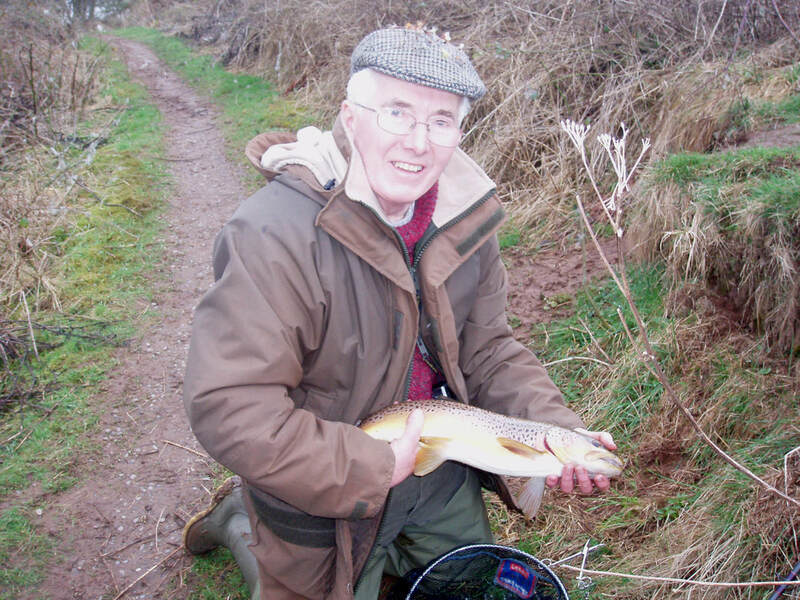 Rod average of nearly 12 was a credit to the fishery and to the anglers. 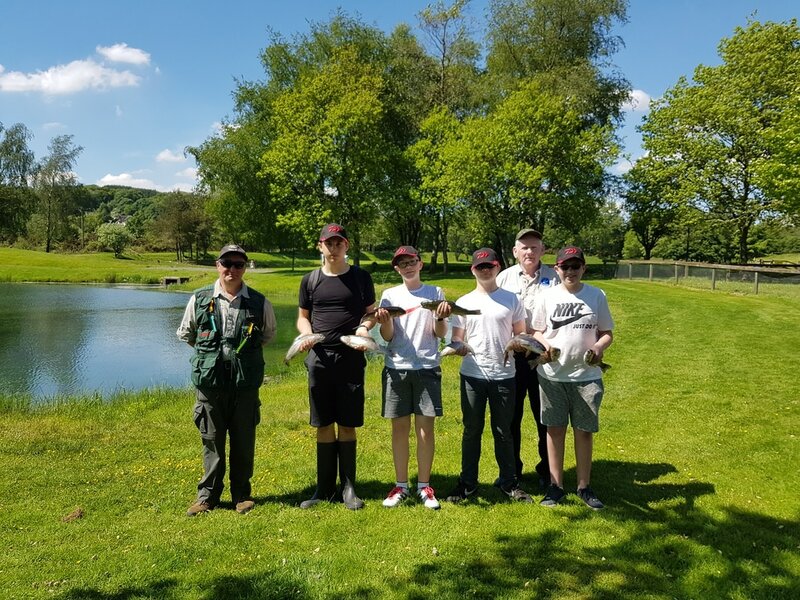 After completing the Club Angling programme the Blackwood Scout group had a very successful day at the Green Frog Fishery, Moffat. This was a great opportunity for SANA and UCAPA to work together in partnership. All participants caught their 2 fish limit. After the days fishing and eats they were presented with their club angling certificate and the Group Scout Leader presented them with their Angling Badge. The line for the 2017 National Stillwater Final is now complete. Attached is full list of the 24 finalists. 6 anglers and 1 named reserve will be chosen to represent Scotland at the Bank International in October in Scotland. Forbes of Kingennie Resort are hosts for both the final and the International. SANA would like to thank all the fisheries that held heats and semi finals and all the anglers who took part in the heats. Competitiors should check in at 8am with a briefing at 8.30am sharp when the peg draw will be conducted. Fees for the final are £25. Anyone unable to take up their place please contact Fraser Renwick on 07719 603064. Please see the information below about our upcoming PVG Q+A session taking place via Facebook Live on 3 May 2017. We would love you to log in on the day with any queries. We would also appreciate if you could share the message below via your own sporting communities (for example, club or SGB social media pages, mailing lists) as we are keen to provide opportunity for as many people as possible to take part. Do you have questions about the PVG system? Are you unsure whether the volunteers in your club should hold PVG checks? Or perhaps you are wondering what other recruitment checks should be done as well as PVGs? On 3 May 2017, we will be joined by Ann Ferguson of Disclosure Scotland and going LIVE on our Facebook page to answer all your PVG and recruitment questions. The LIVE session will take place from 7.00pm and we welcome questions from anyone involved in children’s sport – SGBs, clubs, coaches, managers and parents or carers. To take part, just like our Facebook page, log in at 7pm on 3 May and enter your questions as a comment on the post. There will be no SANA Open this year. NATIONAL STILLWATER SEMI FINAL DRAWS FOR 2017 AND 2018. All six heats have now been completed and 53 anglers have qualified for semi finals for 2017 and 2018. This year only to assist the teams we are having 2 finals with all 53 anglers qualifying for both semi final events. In 2018 there will be heats and qualification events to select the Scotland team for 2019. Organisers would like to thank all the fishery owners who gave up their fisheries to allow heats. New Haylie, Kingennie, Craufurdland, Allandale, Glenbervie and Raemoir. The qualifiers for 2017 semi finals are here. The same qualifiers for 2018 semi finals to be fished later this year are here. Anglers please note there is no flexibility in the draw. You are not allowed to swap venues. Each semi final will cost £25 and from each semi final 12 will proceed to the final. This final submission from SANA is here. Dalziel High School Angling Club receive new fishing rods and reels from locally based Daiwa UK. Proposals to introduce rod licences and a new wild fisheries levy will not be taken forward, Environment Secretary Roseanna Cunningham has announced in a press release today. Despite the weather a great turnout for this event. Opened by Jo Stephenson with free fishing for the day on the River Teith section. A great gesture by Stirling Council. The SANA ladies (Dione Roberts, Kath Shepherd and Morag Wallace) supported by John Hood took a stall in the marquee to promote their upcoming Ladies Open Weekend. Arthur Wilkie the SANA Youth team manager represented the youths. The consultation can be found here. SANA's response can be found here. Sadly Alastair passed away peacefully on the 16th October. A past Chairman of the Non-Migratory Fish Committee he helped negotiate the Loch Awe protection order and sat on its Liaison Committee for many years. A full appreciation will appear in the handbook. Sunday 31st July was date for 2016 SANA Open. In breezy conditions 157 fish were caught, rod average 6.28 fish. SANA would like to thank all those who attended. SANA also like to thank Cameron @ Carron Valley for all his help and access to the fishery. Many thanks as well to this year's sponsor Scierra and Phil Dixon for helping with prizes and hats. Scotland's Disabled team take Gold again! 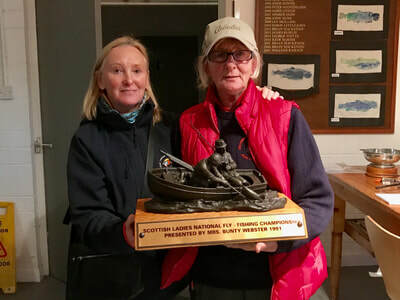 Congratulations to the Scottish Disabled team who won gold for the 7th consecutive year at the Disabled International on the Lake of Menteith. Full report to follow. ​First trip of The Totally Awesome Community Fishing Club. Scott Fosbury, Eastwood High School Pupil has started fly fishing as a result of Fishing classes at Eastwood High School. Here is seen releasing a 3lb 12oz Rainbow at ArranView Trout Fishery, Moscow, Ayrshire with the assistance of Connaire Diver (16), one of our prospective coaches and who is now being Coached by Alisdair Mair with the Cormorants and sitting his UKCC Level 1 later this year. ​St Luke's High School pupil, Nathan Henry with his first ever fish. 5lb Rainbow from Arran Trout Fishery, Moscow Ayrshire. 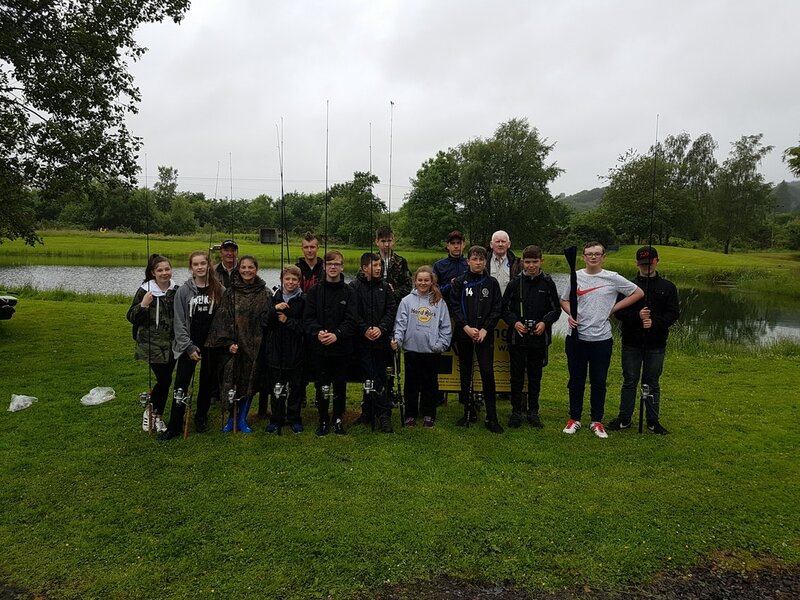 Pupils from Dalziel High School Fishing Club enjoyed a successful day at the Green Frog Trout Fishery in Moffat. The visit was supported by UCAPA and licensed coaches from SANA. Our thanks to the fishery for their support and hospitality.